While not Canadian-related, this is an impressive military event each year. Since 1981, Fleet Week has grown into one of the most popular annual events in the city, attracting more than one million attendees every year. Residents take great pride in the history that the United States Armed Forces have had in San Francisco, and Fleet Week is a prime example of precisely that. If you can fit this exciting event into your schedule, we promise, you won’t be disappointed. Join us Oct. 1 – 9, 2017. 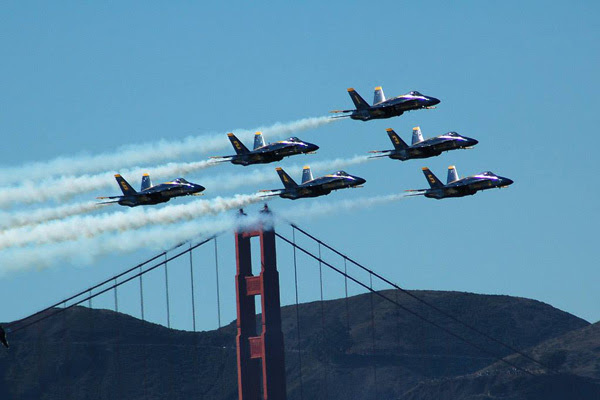 This entry was posted in Fleet Week, San Francisco Visitor Information Center and tagged Fleet Week, San Francisco Visitor Information Center on September 23, 2017 by Michael K. Barbour.